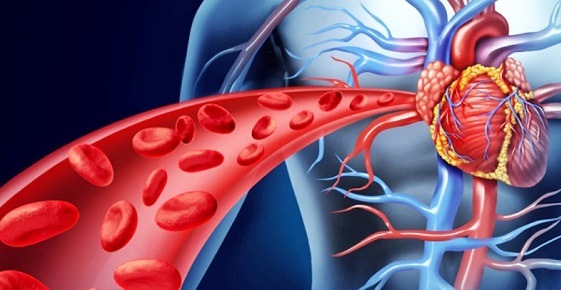 The heart and circulatory system (veins, arteries and capillaries are responsible for circulating oxygen and nutrient rich blood throughout the body. When this circulation is impeded for any reason, it results in poor circulation. This most often affects the extremities (hands and feet) as well as the legs. Symptoms include tingling in the fingers and toes, sensation of numbness and discoloration (red, purple or blue skin tone with white spots). While this is most often the result of other medical conditions, leaving poor blood circulation untreated could also result in the development of an illness or increase the severity of existing medical conditions. 1. What Causes Blood Circulation Problems? – Cardiovascular or heart disease. – Low or high blood pressure. – Thickening of the arterial walls. – Blockages in the arteries. 2. What Conditions Can Be Caused By Low Circulation? – Symptoms associated with diabetes such as blindness and foot problems. The treatment for poor circulation is largely dependent on the cause of the condition. In obese patients, weight loss is recommended while other conditions need to be treated medicinally. In most cases, lifestyle changes are recommended such as a change in diet and increased exercise. Alternative therapies such as acupuncture have been found to be highly successful in improving blood circulation, no matter the cause or condition responsible for the problem. Acupuncture is a type of Chinese medicine that has been practiced for centuries in relieving numerous ailments through the ‘chi’ and meridian points. It involves the insertion of needles into certain local or distal points in the body to alleviate disease. To treat blood circulation problems, the treatment points vary depending on the cause of the problem. Most commonly however, liver 3, large intestine 4, and spleen 12 are used to increase blood flow as well as bladder 17 and spleen 10 to improve the quality of the blood. While numerous sessions are required to treat the condition successfully, most patients show immediate results and experience a tingling or warming sensation in their extremities as good blood circulation is restored. In some cases, such as diabetes, ongoing treatments are recommended to maintain optimal circulation. Used in conjunction with lifestyle changes, the success of the treatment is greatly enhanced. However, in cases where arterial, cardiovascular or heart disease are the primary causes, acupuncture is a complimentary treatment, only used to improve circulation, and should not replace any medical treatments prescribed by a medical practitioner. In the case of diabetics, it is essential that insulin treatments be continued, keeping in mind that acupuncture is only beneficial in relieving some of the symptoms associated with the disease and not in treating the actual condition. 5. Where To Find Acupuncture For Blood Circulation? Any type of acupuncture used to remedy any medical condition should only be performed by a qualified professional. Traditionally, the practice was passed on from master to student. Today, specific schools and institutions are dedicated to training practitioners in this age old medical art. A qualified acupuncturist needs to be licensed through the NCCAOM (National Certification Commission for Acupuncture and Oriental Medicine). They are required to pass an exam before receiving a qualification. Additional state certifications to practice acupuncture may be required depending in your location. These are the best sites to find a certified acupuncturist in your area. Doctor, is my Blood Circulation Good? When I started with acupuncture I was experiencing fatigue, exhaustion, dizziness, I was always cold and I had memory loss. After sleeping on & off all day and then sleeping all night for so long, I’ve progressed to the point of having more energy than ever – even to the point of returning to work. Dr. Tad has also rid me of acid reflux, hernia protrusion & back problems. I feel better than I’ve ever felt in my life!